The transformation of the State in this terrible way and the regime’s use of all the capabilities of the country for the development of its powers, and the control of chauvinist thought by the Baath Party, as well as an insistence on Arabisation rather than admitting the fact of the cultural, social, ethnic and religious components of Syrian society constituted the seeds of the crisis that often erupted and had been controlled using tools of enormous repression, although there has been a recent explosion in the popular movement that developed and has lasted for more than three years. There is no longer room for doubt that Syria needs democratic revolutionary change rather than just changing the ruler or the regime, or simply being replaced by another, towards a complete intellectual change overall and continuing to include all of the elements that contributed to the creation of this crisis, through the process of innovation and the creation of a new system with new mechanisms and concepts that are compatible with the era of democratic peoples. That means first getting rid of chauvinism and the policy of denial, and the recognition of pluralism and positive inherent diversity in all the components, and to ensure their full constitutional rights are guaranteed through real national institutions that respect the differences between the sons of the same country, to unite their efforts in the framework of the Syrian homeland by their own free consciousness. Solving the Syrian issue, despite the enormity of the multiple levels of external interventions which constitutes a key solution, the Syrian solution must be democratic, and this requires the adoption of a political solution, and rejection of violence and sectarian divisive attitudes, whatever level of it and the sources, to pave the way towards Syria’s unified, free and democratic future, and from here all the forces of change and revolution should emphasise the democratic rights of the Syrians on the one hand, and each of its components individually and in groups on the other hand. 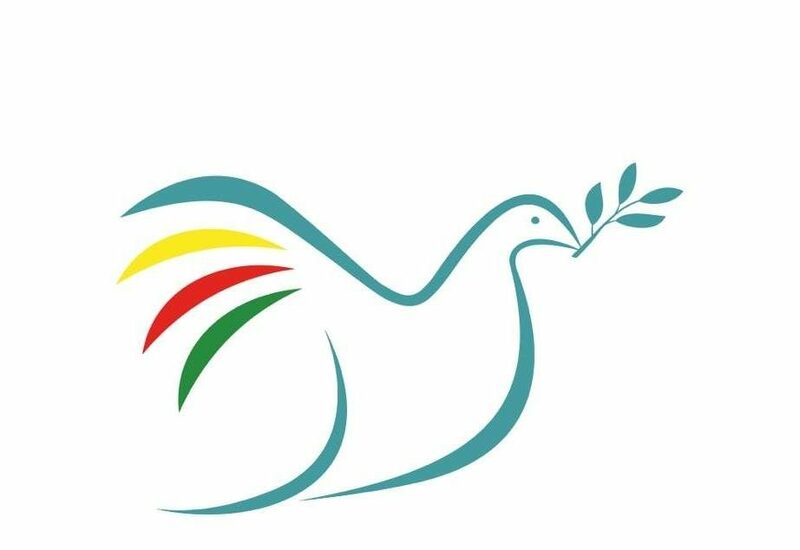 2 – find a democratic solution to the constitutional guarantees of the Kurdish issue, and resolve the issues of nationalities according to international covenants and conventions on Human Rights and additional protocols. We will work to put this project out to all opposition forces of different backgrounds and orientations for discussion as a working draft to lead to a common vision to understand the Syrian scene, and then propose the rational, logical and objective, democratic solution to the crisis, noting that this draft is for development and updating through serious participation of the effective Syrian powers on the ground, and will pave the necessary way to discuss the Syrian situation in a democratic, enlightened free Syrian thinking to create the future of the country by the hands of their children. 6 – Display this project to the Arab League and the United Nations and concerned parties. It is time that we respond to the cries of children and orphans who have had their bodies torn apart in front of the eyes of their bereaved mothers who dried up the tears as dried blood from the veins of their children. It is time to put an end to the pain of parents who were still searching the rubble for parts of the bodies of their children, which ruptured under barrels of death and shame. Accordingly, we call on all the forces, institutions and Syrian figures to address this project in the spirit of responsibility, which is pushing to resolve the Syrian issue and is considered as a gateway to a comprehensive solution in the region, and will turn into a decisive turning point to bring history back on track. We believe that this initiative provides a vision to resolve the Syrian issue as a whole, and will ensure that all the components of society resolve the outstanding issues, and we will give all our efforts in this regard.